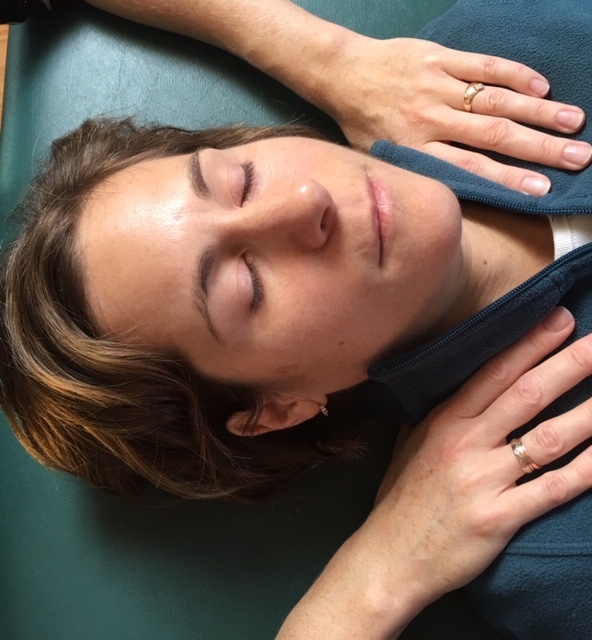 The Alexander Technique Center at Cambridge offers an internationally recognized Teacher Training Program. Founded by Tommy Thompson in 1983, the program offers a three-year, 1600-hour course of study. Upon successfully completing the program and fulfilling all program requirements, graduates receive a Certificate of Qualification in the Alexander Technique. Each graduate is eligible to become a Certified Teaching Member of Alexander Technique International (ATI), an international professional society of Alexander teachers. Practice – lots and lots and lots of practice! Students practice hands-on skills, working with each other, the faculty, and invited guests, always under the supervision and mentorship of experienced faculty members. Tommy typically introduces a theme or concept at the beginning of the week. This theme is explored in group discussions, as well as in demonstrations and hands on practice, over the course of the week. Faculty members demonstrate concepts or techniques. Demonstrations can range from a quick illustration of a point to a full lesson, in which trainees observe a master teacher giving a lesson to a student. In the latter case, the teacher narrates his or her observations, and explains the choices he or she is making in the work. Trainees each receive a 20 minute private lesson with Tommy every week. In addition, trainees receive shorter “turns” with Tommy and other faculty members on a regular basis. Reading is assigned weekly. Required reading in the training program includes the four books written by F.M. Alexander about his work (Man’s Supreme Inheritance, The Use of the Self, The Universal Constant in Living, and Constructive Conscious Control), as well as Frank Pierce Jones’ book, Freedom to Change. Other books and articles are assigned depending on the needs and interests of the group. Approximately an hour a week is devoted to in-depth discussion of the reading. In addition to the assigned reading for the whole class, each year each trainee selects an additional book about the Technique to read, and delivers an oral presentation about it to the group. Written work is assigned monthly. Topics vary from research-oriented questions to personal reflections. Most students hand in about a page for each assignment, but that length varies by the student and assignment (there is a range from a few paragraphs to 5 pages). Basics of musculo-skeletal anatomy (including the fascia) are taught once a month. Emphasis is always on applying the anatomical knowledge to the Alexander work, and on experiencing the design of the body in ourselves. The monthly sessions are taught by senior faculty and guest teachers with special expertise. No prior knowledge of anatomy is required in joining the training program. Twice a year, in the late fall and late spring, Tommy meets privately with each student in a tutorial. The tutorials are an opportunity for each student to check in about his or her progress in the program, as well as to receive hands-on work from Tommy. We are fortunate to welcome visiting teachers from Japan, Europe, Canada, and around the US. They come to both learn and teach, both learning from Tommy’s deep perspective on the work, and sharing their own perspectives and insights. Trainees in the final term of their third year give a series of at least 10 one-hour private lessons to a volunteer student. Typically these lessons are given at the ATCC during the training class, with Tommy mentoring. Toward the beginning of each student’s first Fall term, he or she presents an Entrance report to the group, and at the end of the student’s last term in the program, an Exit report. These reports are personal reflections. In the case of the Entrance report, students introduce themselves to the group, talking about what drew them to the work. Each Exit report is a unique reflection of each student’s path through the work. For students who are musicians or other performers, it is not uncommon to include a performance (though this is in no way a requirement). The ATCC Teacher Training Program can help graduates set up internships at the Boston Conservatory, Berklee College of Music, or the American Repertory Theater, (ART) at Harvard University.